A great review of a Vietnam War book from Vietnam vet and Horde writer Skandia Recluse. "The whole painful experience ought to have (but has not) taught Americans to cultivate deep regional knowledge in the practice of foreign policy, To avoid being led by ideology instead of understanding." Bowden, Mark. 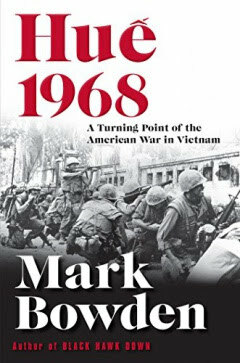 Hue 1968: A Turning Point of the American War in Vietnam (Kindle Location 8453). Grove Atlantic. Kindle Edition. Translated - gee, can't we set aside our ideological differences and just be friends? Can't we just get along? There are two incompatible political ideologies competing in the world, three if you want to include Islam. There is no 'getting along with' someone who wants you dead, or conquered. Vietnam was just one example. 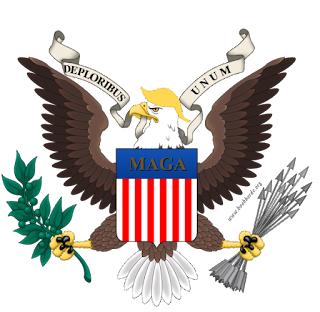 All of the African continent, Cuba, South America, and now the Middle East; everywhere you look Western Civilization is under assault. No peaceful coexistence is possible. Back then it was called 'the Domino Theory' and that theory was ridiculed by the anti-war protesters even as it was proven true all across the African continent. The war in Vietnam could have been managed better. We know that now, but that wasn't known at the time the war was being fought. War is a terrible thing that should not be entered into lightly, and once in it, it must be won, at all costs. Bowden makes several points that I would agree with, but he makes those points pro forma, without much emphasis. Some of the points he wants to make, he makes them emphatically and many of those issues I disagree with his conclusion. 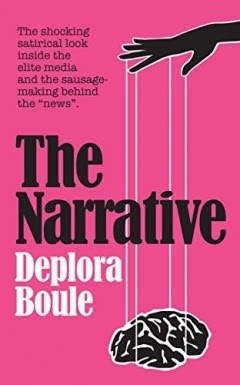 He shades the material in subtle ways, making it possible for readers of differing ideological points of view to reach differing conclusions. In the end, he blames Nixon for prolonging the war, and holds the North Vietnamese to a lower standard of blame; they just wanted their independence from foreign powers, you see. He blames Nixon for the Khmer Rouge. He does paint a clear picture of communist propaganda and recruitment, but this is not an issue for him, because the government of the south was corrupt. He denigrates US soldiers with a broad brush when he talks about the brothels, making it seem that the US Military was at fault somehow, without mentioning that it was often Communist radicals who were working in those brothels. The first week in country, my unit was briefed on the rate of infection of venereal disease (STDs in the modern vernacular). "The rate is one in two," the briefing officer said. "That means that if you don't have it, the guy next to you does." That removed any desire I might have had to ever visit a brothel. Some of the men in my unit contracted VD more than once; you didn't go outside the wire if you had it. I was never in Hue. I was in Saigon two years earlier. I drove a truck. Many of the guys who were in combat didn't think much of truck drivers. The guy with whom I shared a truck was shot up very badly one day. We were told he died. I have looked for his name on the wall and can't find it. A man by the same name is listed as a Navy Seal. A friend of mine was also shot up in that same ambush. I was washing pots and pans in the kitchen that day. My father, in WWII in China, had a similar experience. He was sick one day, and the bomber crew he was on went on a mission while he remained on base. That mission the aircraft and the crew did not return. There are similar examples in Bowden's book, two men standing together, one dies, the other does not. However, in combat at the level of what was experienced in Hue, day after day, casualties mount up. You didn't die today, or this week, but a month later your number comes up. Many of the units Bowden writes about were reduced to just a few survivors. Wounded far outnumber those killed. Numbers from Afghanistan and Iraq are horrible. Maimed and wounded far outnumber those killed. One thing I learned from this book; the Generals in Saigon had no clue what was happening in Hue, and denied the early reports because those reports were inconceivable to the Generals, according to Bowden. Another thing I learned from Bowden was the US forces had no training in Urban Combat. If you choose to read this book, make special note of which tactics get you killed in Urban Combat, and what you have to do to not get killed. Should you read this book? I don't know. I don't know you. Knowing what I know now, I would not have read this book. I had a suspicion, and at the very end of the book, my suspicion was confirmed. Bowden seems to blame the US Military for losing the war, which isn't true. He discounts the conclusion that the US Military was victorious at Hue and in South Vietnam, which, militarily is true. The North was hurt badly, but they regrouped, rebuilt and with arms and supplies from the Soviet Union were able to remain on the battlefield. Bowden doesn't seem to notice this. In the end, the news media in the US, and the anti-war protesters were able to wear down public opinion, and eventually, the politicians grew tired of defending their decisions. US Troops were pulled out, and still the south did what they could. When the North launched another major attack as large or larger than the attack on Hue, the democrats in the US congress washed their hands of the whole mess and refused to send supplies. In the US, no one cared. But in South Vietnam, many thousands of Vietnamese fled the country; boat people, they were called. Bowden makes no note of those refugees. If the US is going to win a war, the entire country has to support the effort to win. If half the people in the country are actively sabotaging the war effort, the US can't win. Don't think our enemies haven't noticed. 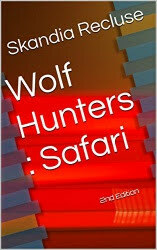 Skandia Recluse is the author of the Wolf Hunters science fiction saga, which includes Wolf Hunters : Safari. A story in two parts. Part one the son of a rich man arrives at May Flower seeking adventure. Something in the environment captures the young man and he goes native. Something about the exotic young man from another planet infatuates three young Wolf Hunters. An old enemy of the Wolf Hunters appears when the young man stumbles into a hidden party of raiders. A twist at the end sets up the second part of the story; Discrimination, plots, and war. Wolf Hunters : Safari is free to read for Kindle Unlimited subscribers. If you want to see if subscribing is right for you, can get a Kindle Unlimited 30-Day Free Trial.